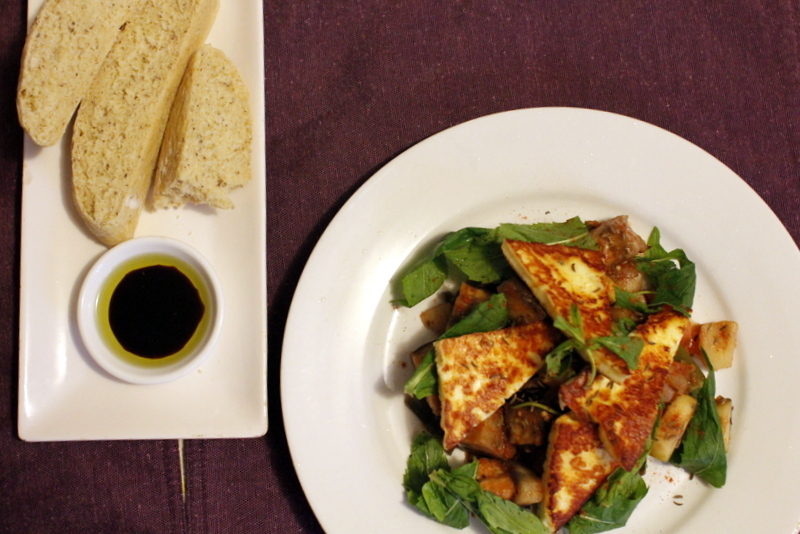 I like all sorts of cheese but halloumi is one of my favorites when I cook vegetarian dishes. 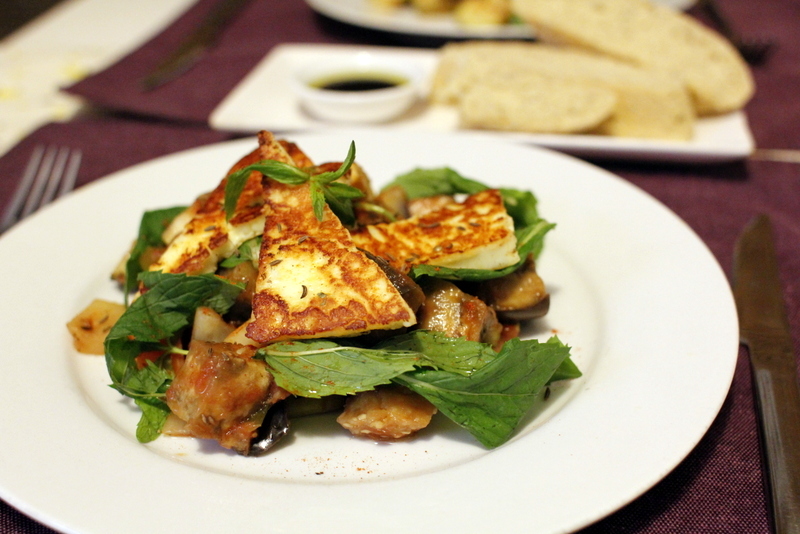 Halloumi cheese is a semi-hard brined cheese made from a goat’s and sheep’s milk. Because it has a high melting point, it is perfect for frying or grilling. I don’t normally put any oil in the frying pan or grill because it releases natural oil itself and gets beautifully caramelised outside. Its unique flavour and texture is hard to describe if you haven’t had one. It’s salty and crispy outside but soft inside. Ratatouille also, stewed vegetables, is a beautiful vegetarian dish I often cook. I chop up all the vegetables I have in the fridge such as onions, eggplant, zucchini and carrots. Add some passata sauce, season and cook them until they are all tender. Garnish with some herbs ( I used mint last night ). A good thing about stewing veggies like that and making a big batch of it is that you can have it as breakfast or lunch next day.